Built 1612 on the first floor of the old Arsenal. 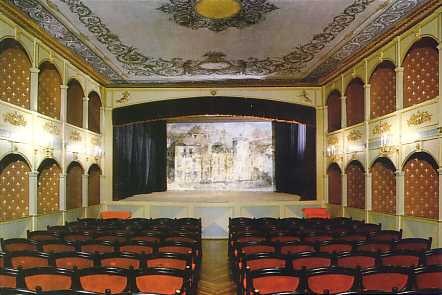 The best surviving example of an early 17th century Venetian public theatre. Also known as "Hvarsko povijesno Kazalište". 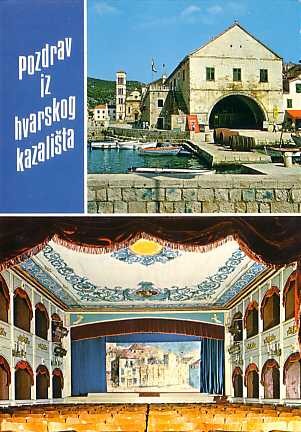 Reverse Text: "Hvar - Kazalište - Theater- Theatre - Théâtre- Teatro"
Reverse Text: "Hvar - Kazalište iz 1612. god. Najstarije komunalno kazalište u evropi. 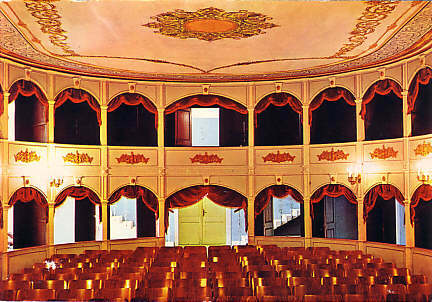 - Theatre from 1612. The oldest town theatre in Europe - Teatro del 1612, il più vecchio teatro comunalne d'Europa - Theater vom 1612. Das älteste Stadttheater in Europa"
Reverse Text: "Hvarsko kazalište izgradeno 1612 god. 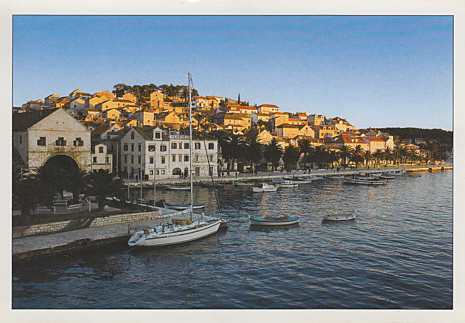 Najstarije komunalno kazalište Evrope - Theatre of Hvar built in 1612, The Oldest Communal Theatre of Europe"
Reverse Text: "Adriatic Coast Croatia"